I have no basis for this, but it seems more and more to me that they are concerned about the impending solar minimum. Less solar activity --> less geomagnetic field protecting from solar radiation. But it seems they are shortsighted and will make the mini ice age worse. 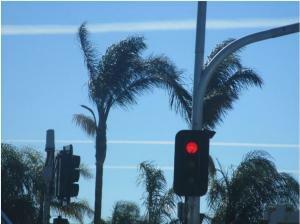 Operation Indigo Skyfold is the name of the U.S Federal Government’s unlawful chemtrailprogram. The following exposé clearly delineates what relatively very few know about what is occurring daily in the skies above them. Lastly, may we say that the following video is perhaps the finest scientific presentation on theCHEMTRAIL phenomenon on the internet today. The scientific analysis of the chemical composition of chemtrails is unimpeachable. For this reason alone it stands as a defining video-documtenary of the greatest environmental assault on Planet Earth today. 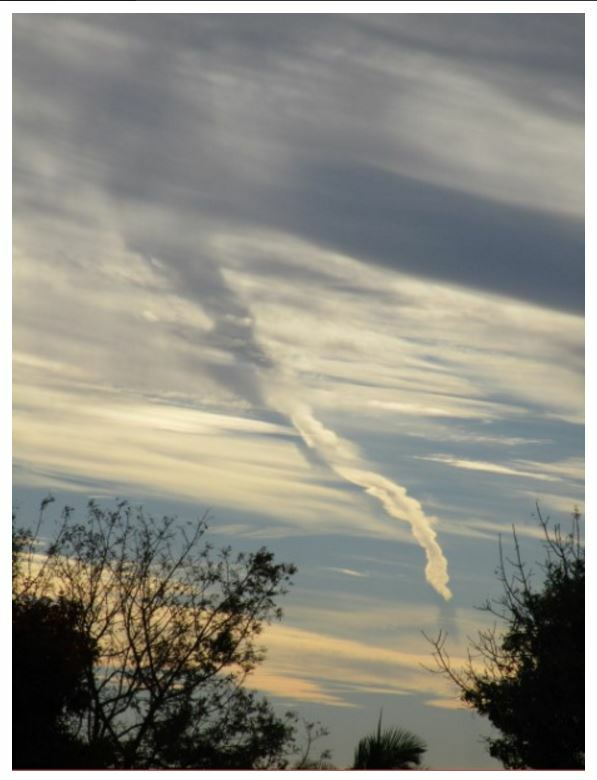 Truly, there is not a more serious looming global health crisis that the one being geoengineered daily by the ongoing, worldwide chemtrailing operations." There are many more pictures at the link. OK then black chemtrails now carbon?? graphene maybe? Engineers and meteorologists from Nevada have joined forces to create the first autonomous cloud seeding platform - using drones to control the weather. Cloud seeding is a technique where small particles are dropped into a cloud from an aircraft or rocket to alter the microphysical processes going on inside and make it rain (or snow). Research on the subject has been ongoing for more than a century, but it's still not clear how well it actually works in reality - a cloud might produce rain after being seeded, but it's hard to know if that cloud would have just produced rain anyway. Just tie-upping threads re: chemtrail issue. Yeah sounds like tabloid paper's head liners...but it is a wild piece of info. I kinda think this connects to what we discussed in the Black Goo thread as well. At the beginning and at the end, there are sales pitch given, but it's very worthwhile to look at the in between bits IMHO. 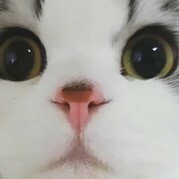 TY for fixing the links, breezy!! I saw they were spraying in multiple layers. I guess the flights are coordinated for the chemtrail to lust. Yesterday, they made mistake and it was relatively clean. As if the warehouse officer had to even out the chemicals that were used by the end of the week, suddenly today they were spraying full on. The great unraveling is gaining momentum by the day, and even now the majority of the masses are fast asleep at the wheel. Our skies look like something from an apocalyptic future, our trees are dying, our oceans are dying, our planet is dying, and still the majority remain unaware. Those in power are utilizing every option at their disposal to keep populations from waking until the last possible moment. Is there still time to change course and keep any part of the ship floating? That remains to be seen, but if there is yet a chance, it will require the concerted, focused, effective, prioritized, and completely dedicated efforts of all those that are already awake. RENO, Nev., May 4 (UPI) -- This week, engineers with the Desert Research Institute announced that their Drone America Savant unmanned aircraft had successfully ascended to 400 feet and deployed two silver-iodide flares. 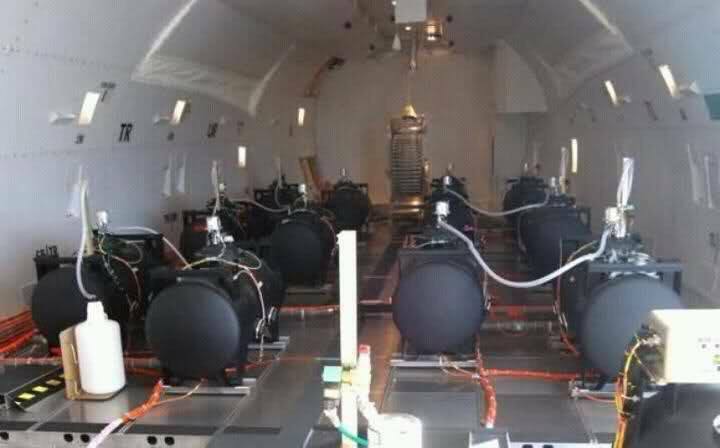 The 18-minute test flight occurred late last week, proving -- researchers say -- that the unmanned aerial vehicle is ready for the cloud-seeding work for which it was designed. Researchers say they will now begin to employ the Savant drone to study weather patterns and build forecast models as well as test a variety of cloud-seeding technologies. 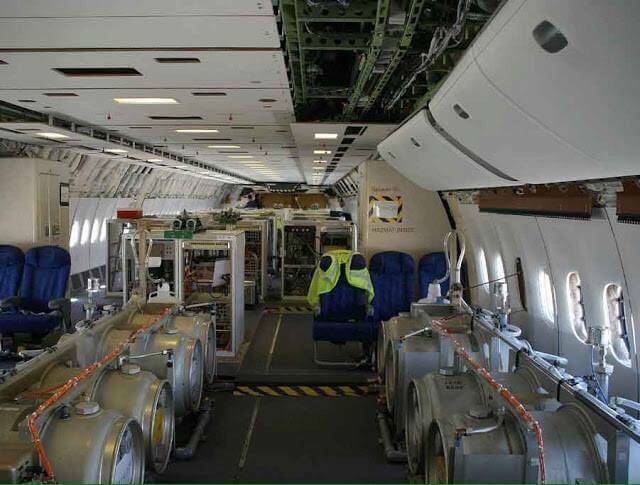 "An historic lawsuit has been filed in Canada in an effort to expose and halt the practise of chemtrails being sprayed into the atmosphere. For over a year GeoengineeringWatch.org has been communicating with and forwarding data to Canadian attorneys (in addition to the US team of attorneys we are working with) in the effort to get legal action in motion. This effort has now reached fruition, Geoengineering Watch wishes to express our most sincere gratitude to the attorneys in Canada (and the US attorneys) for their diligent and ongoing work in this most critical battle. Excerpts from the Canadian legal filing are below. c. An interlocutory and a final mandatory order directing that the Defendant comply with the Canadian Environmental Protection Act and appurtenant Regulations;"
This site got lots of info: The Gold Fish Report relayed it so though you'd need to be aware of that now Simon Parkes (Breakaway Dracos and the Mantids and their allies) clearly said he was told that only White Dragon Society to be the one to believe (he doesn't go around to find what others are saying, apparently. He sticks to his own source and none other. ), and the GFR is of Red Dragon Society related. ...So up to us to get the juicy bits out of all info the GFR presents as far as I consider. I don't just denounce everyone associated with them at all. We all are trying to find out the TRUTHS as humans. I found this vid was direct to the point. Perhaps good vid to share with the public?? Chemtrails are a Military Experiment on its own citizens. 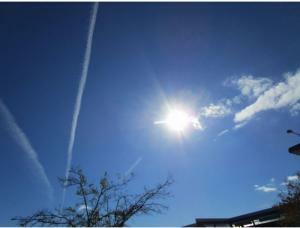 • According to the Governor of Arizona, “Chemtrails –or- (Geoengineering) is a Federal Issue”. 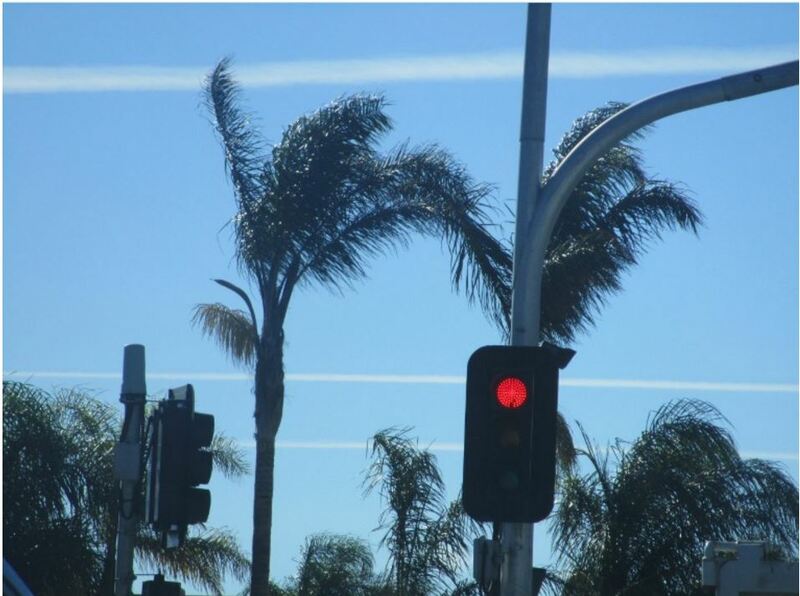 • According to the Feds, Geoengineering is a FAA issue. 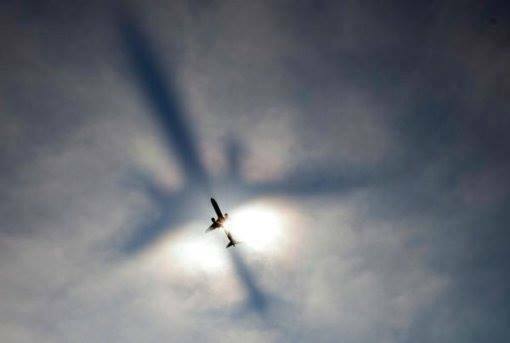 • According to the FAA, “These are simply jet contrails, nothing going on here”. • The ADEQ goes on the record as stating they do have scientists on board in their organization." • Did you know that the Government has laws in place that grant “Diplomatic immunity in regards to the Military Industrial Complexes Experimentation programs that result in the deaths to thousands of domestic civilians”? • *Are Environmental agencies ‘above the law”, or is the Military Industrial Complex above the Agencies? 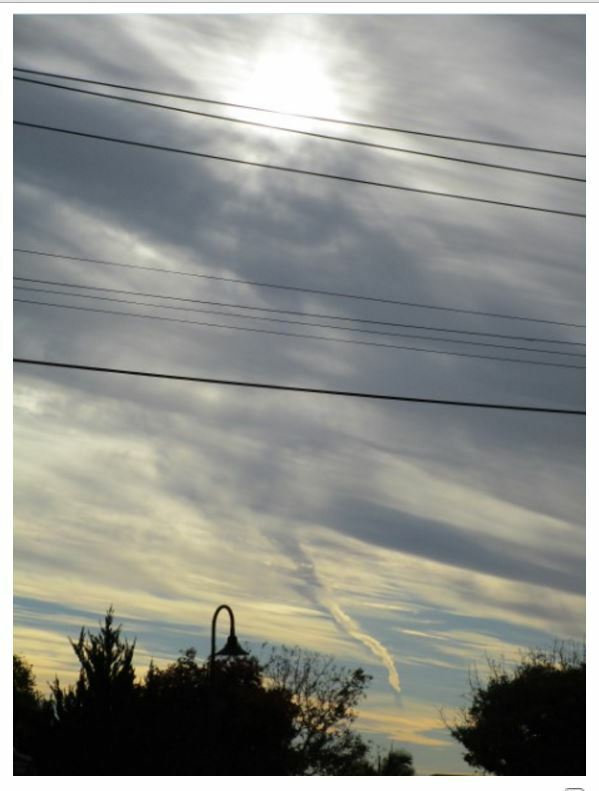 • Did you know that thousands of citizens have gone to approved MD’s and labs for the expressed purpose of testing their blood for Strontium, Barium and Aluminum particulates? 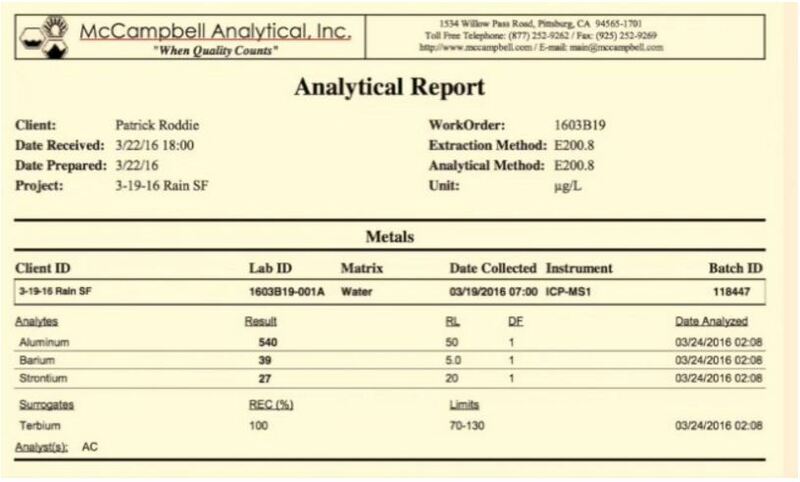 The results of the tests are astounding, and some cases the levels of metal particulates are 1000% higher than the norm? 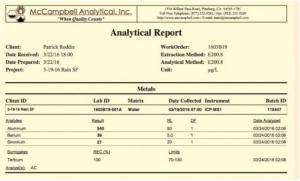 • Doctors who have tested their patients’ blood for heavy metals “Do not have a clue” as to what the next step may be for their patients and are equally dumbfounded by the test results of ‘heavy metal toxicity’ that is apparently ‘off the charts’. So doctors are telling their patients “You need to learn to live with it”. (Unethical practice of the MD). 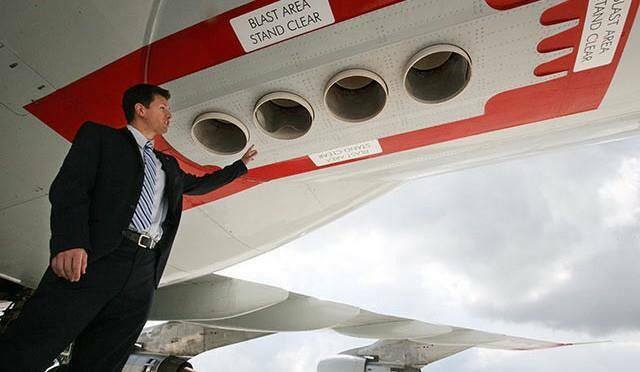 • THE CLEAN AIR ACT states that the ADEQ has no jurisdiction over airplanes. I don't know if this has already been posted but apparently ships leave trails in the atmosphere as well. 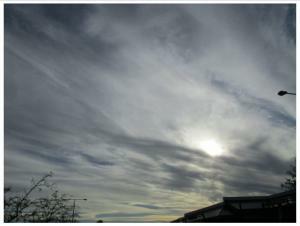 "The track of large ships is sometimes visualised by a trail of shallow stratus clouds. These clouds, known as ‘ship tracks’, form in the wake of ships and are remarkably long-lived. They typically are between 0.5-5 km wide, i.e. wide enough to be seen in visible satellite imagery. Here, several can be seen southeast of California, USA." 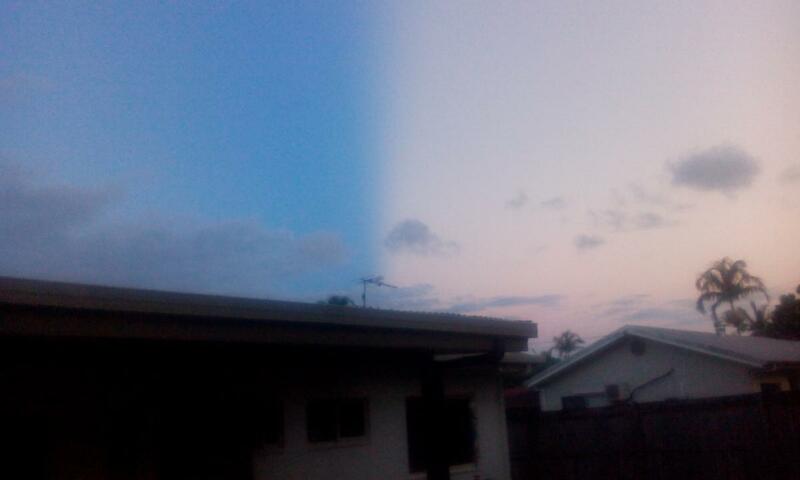 Any ideas what is going on with the sky in this picture my friend said it went all the way across the sky in Cairns Australia i saw a you tube Project Bluebeam Hologram sky; with a similar thing any ideas out there? Sorry if in the wrong thread looked around for a relevant thread this was the closest I could get somethings going on for sure!!?? Thanks Unity (and to all the likers) out there, anyone got any clues? Could it be a massive hologram or is it a computer glitch maybe a natural phenomenon, is it visible to only certain people and cameras (you would think that if half the sky is different everybody would notice). Anyway all the stuff that's happening in the sky is doing my head in(as well as everything China does; such as Ghost Cities, even CHANI has all the letters of China)Haha. PS Loving CHANI. (Era of Wisdom) A recent study found nanoparticles of metal in human brains, raising the eyebrows of geoengineering researchers such as the prolific Patrick Roddie of Stop Spraying Us. 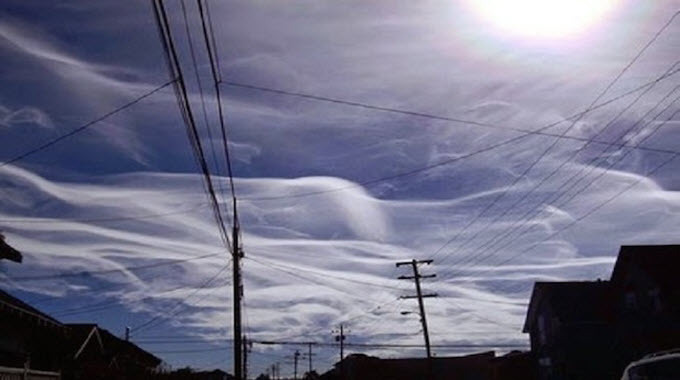 While the study doesn’t connect geoengineering to the particles, it is well understood that exposure to geoengineering poisons the body with heavy metals.